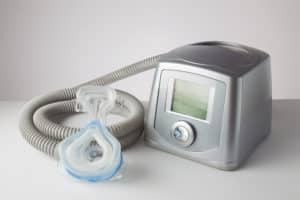 Earlier this year, The Huffington Post reported on the largely negative impact Medicare regulations are having on CPAP users and providers. On the provider side specifically, CPAP denials have been known to top denials lists for HME and DME suppliers, meaning that understanding the layers of Medicare’s logic is the first step in understanding how CPAP denials subject any facility’s cashflows to unnecessary risk. …They start with an in-person encounter with a physician who then documents their concern for OSA and initiates a referral for a sleep study. …If a patient is then approved for a CPAP device, compliance is tracked for 90 days. …If they don’t demonstrate compliance within that time, the device must be returned. In order to qualify for a new device (if the patient wants to) they have to repeat the process from the beginning. On its surface, Medicare’s logic looks sound—almost half of the patients who are prescribed CPAP use will quit within the first year. But the impact often leaves patients frustrated and providers wary of denials and audits. If Medicare finds an irregularity in DME paperwork, they can require a full refund on equipment and in some cases, even begin to audit claims from the DME provider. Before establishing a policy to avoid unnecessary audits and denials, most providers need to analyze the history of CPAP denials and see where they have room to implement proactive denial correction. The first step in that process? Stepping away from manual, low-insight approaches and treating denials trends seriously through the use of tools like Access Denial Intelligence.